Today’s choice is either the English version of an interesting Gaelic appellation, or a surname option that might fit perfectly with emerging trends. Or both. Thanks to Austin for suggesting the intriguing Roarke as Name of the Day. Spell it any way you like, Roarke is very rare. I’ve stumbled on Roarke, Rorke, Rourke and Roark in old census records, but none are common. The surnames O’Roarke, O’Rorke and O’Rourke, on the other hand, are heard with some frequency. Chances are that the original bearers of the first name might’ve been given a family surname. Today, as Austin suggests, parents could also be thinking of actor Mickey Rourke. (He was born Philip!) With his recent comeback in The Wrestler earning him accolades, we’re certainly hearing his name more and more. Before you dismiss Roarke as a long shot, remember that surnames have become first names (and vice versa) throughout history. 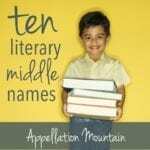 In recent decades, almost nothing is more powerful than a popular character or celebrity wearing a name to propel it from seldom-heard rarity to every playground in America. And with parents opting for single-syllable choices for sons like Cole and Cade, why not Roarke? Of course, many of today’s parents grew up watching Mr. Roarke on ABC’s Fantasy Island. Ricardo Montalban’s mysterious host dispensed valuable life lessons in the midst of his tropical paradise, right after the Love Boat. But don’t consider Roarke a mere pop culture oddity. He may simply be the most common English version of Ruarc, an appealing Irish name with considerable history. In the ninth century, Ruarc mac Tighernain Uí Briúin Bréifne ruled part of Ireland. A second Ruarc was King of Leinster – another region – at about the same time. Written history is a bit fuzzy on their reigns, and it is difficult to learn much about them. But his descendants are adamant that they can trace their tree to a royal Ruarc, and suggest that the original spelling of O’Rourke and company would’ve been O’Ruairc. Journalist P.J. O’Rourke can be read in The Atlantic Monthly. I won’t hazard a guess as to the name’s meaning. Two are referenced – either storm or ruler – with some frequency, but I can’t trace the evolution of either. On balance, Roarke is one of those interesting names that might work best if he’s already on your family tree. In another era, I might say he sounds too aggressive – but with boys called Gunnar and Cannon, that seems like a flimsy objection. And he certainly fits nicely with current trends – so if you’re looking to name Vaughn’s younger brother, Roarke might be one to consider. The meaning I found for it was ‘champion’ when I did a search. I think that one could maybe true, if you take into account the historical reference of Ruarc. I truly love this name. It’s strong & masculine. It might be viewed as silly in Ireland (on YA the Irish dislike it as a first). I am eight months pregnant with a little boy, we planned on naming him Roarke for about five months.. But when I would tell people, they would either say “That rhymes with dork” or go straight to calling him “Roarke the dork.” I am heartbroken!! HAS ANYONE named their child this? And if so, are there any reprocussions??? Drew, congrats! Here’s the thing about baby names – they are an easy mark for criticism. Say you’re naming your son Jake and someone will say, “Aren’t you worried he’ll be one of three in his class?” Tell them you’re choosing Simon and someone will mention the chipmunks. Or the mean kid called Simon back in fourth grade. Every name has a downside. Every kid gets teased at some point. Choose the name you think makes sense, and, if you’re really nervous about Roarke suiting your son, also pick a middle name that you could like with … so if he grows up to the R. Daniel Smith, you won’t mind so much. But mostly, kids seem to grow into their names – and friends and grandparents who freely criticized your taste will adore your child – and never dream of saying a word against him once he arrives. I agree with JNE, it’s more of a sound than a name… sounds like a dog barking, to me. I’d like to second Vaughn for name of the day! Not for me… I think of Mickey in his more disheveled state a little, but more than that, it sounds kind of like something’s stuck in the throat to me… it’s more a sound than a name when I hear it out loud… I imagine my little one would like me to say it a lot and would laugh (similar to her reaction to animal sounds and uh-oh and kerplunk and such). Um, no, I just tried it and she started screaming… also not a good reaction. Speaking of, could Dagny be a name of the day? I’m wondering where/how Rand chose that for her epic heroine! Dagny is Norse and means ‘new day’. I’ve never read ‘the Fountainhead’, but I’d be very interested in how such a name made it’s way there 🙂 Very interested indeed! My first reference to Roarke is Commander Roarke in Disney’s ‘Atlantis’. I loved that film when I was younger, and he was a real macho bad guy in the film as well, so I fear I’ll never get passed that! Just like I can’t bring myself to like Lavinia because it was the bad girl in ‘A Little Princess’, also a childhood favourite! I’m not feeling Roarke. 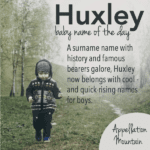 It reminds me of an ultra manly name like Stone, Drake, Thorne, Storm, or Hunter, and it is very surnamey, which I usually don’t like, though some are sometimes ok to me, like Darcy, Everett, or Vaughn. Ruarc does make it better though. I would be ok though a bit surprised to hear this on someone else’s kid, though not something I’d actually use. I LOVE Vaughn though, gosh it’s handsome! I’m not a fan on Rourke. Too surnamey and reminds me of Mickey. The sound is also very He-Man, and I don’t like that. Reminds me of the Hunter/Gunner crowd. All this makes me think of is “Mamie O’Rourke” from the “Sidewalks of New York” song! I’ve never heard this used as a given name, but I see how it could appeal. Surprisingly, I like Roarke! He feels a bit soapy, but nothing awful, I mean, my parents heard my name in a soap opera. One of my first acts of parental disobedience was to watch Dallas & Fantasy Island on Fridays when they were out shopping, so I definitely have a soft spot for Mr. Roarke! I’d probably go with the origianl Ruarc only because he doesn’t make me want to sing out “De Plane! de Plane!” (I’m feeling goofy today, can you tell?) Either way, he’s pretty dashing, handsome and breezily debonair, what’s not to love? Roarke (and Ruarc) get a :thumbsup: from me! I like Roarke. I’d especially consider it as a middle name, if it were a family name (it seems a bit too Gaelic for us). It does remind me a bit of Rory in that it is slightly difficult to pronounce. Vaughn and Roarke are great together!